W.E.C. Lines originated in Spain in 1973 when SBC Container Lines started a container freight service in Middlesbrough, Rotterdam en Pasajes, Spain. Shortly after, more ports and countries, including Portugal, were added to the shipping schedules. In 1977, the department within SBC that dealt with freight transportation to Portugal was renamed W.E.C. Lines. A name that to this present day is synonymous with short and deep-sea container transport. In 1980, the decision was made to reassign the management of the London and Madrid companies to Rotterdam. In the meantime our network had expanded to include container transport in the Red Sea. This marked the beginning of our deep-sea activities. In the years that followed, we further extended our network in the direction of East Africa with the ports of Dar es Salaam and Mombasa. We were also the first at this time to offer our customers full service container transport. 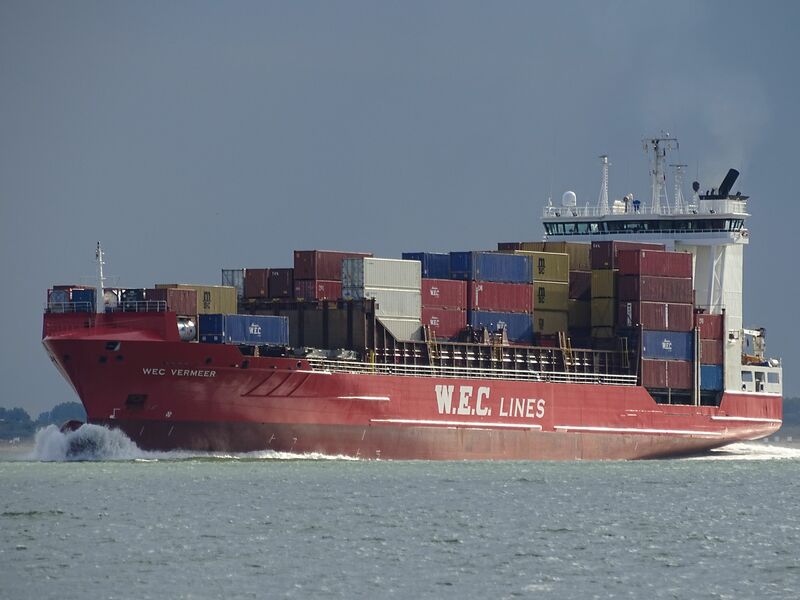 In 1986 Holland Maas Shipping, a sister company to W.E.C. Lines, was established. This company directed its focus at short sea activities to ports in, for example, Spain and Portugal and from Lisbon and Leixoes onwards to Casablanca. And although we were by no means the largest in the business, the volumes we transported were generally larger than those of our competitors. In 1994 management in Rotterdam took over all shares and bought out the owners. In the late 90s we were confronted with the decision of major industrial companies to do business with Global Carriers only. A development that led us to establish partnerships that in turn enabled us to provide our services under a ‘Global’ label. This allowed us to continue servicing large, international companies with our container services.